Kaeru no Tame ni Kane wa Naru, a really good Gameboy game. That looks awesome, excellent job. It's great to know that you're going to make it look like the cancelled GBC port. I know that could upset some purists, but IMHO it looks much better that way. I suppose you can't please everyone. Here is a screenshot of a beta project I did for fun but didn't take it anywhere. It is reference to the after the credits scene from the movie Super Mario Bros. Thanks. It would be nice if someone can make a GB utility tool that lets you add more than three colors to a tile. It looks good, you did a great job on inserting and implementing the new colors to the game. I'm guessing that would then require the ROM to use a special emulator. That's... a hardware restriction inherent to the GBC. All graphical assets in the ROM are developed around it. Each palette can only hold three colors plus transparency. Some developers did hardware tricks to show static images taking advantage of GBC's available thousands of 16-bit colors but it's rarely used (Crystalis GBC, some Telefang screens, and this game's title screen for the cancelled GBC remake) and definitely unworkable here for in-game segments because of the processing load. There's dithering (can be implemented without any further hacking) but that wouldn't suit the art style of the game that well. 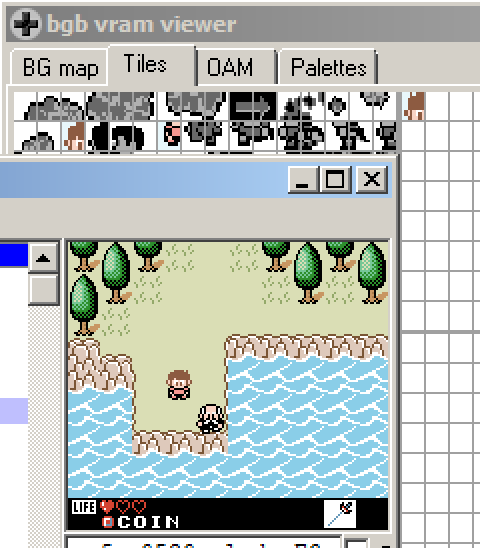 That leaves gradients (kind of like in the GBC Goemon game) which may be possible here. Some emulators like GBE+ support sprite replacement with a bitmap with as many colors as you like but it's not romhacking the actual ROM anymore. I'm impressed someone figured out the text compression. 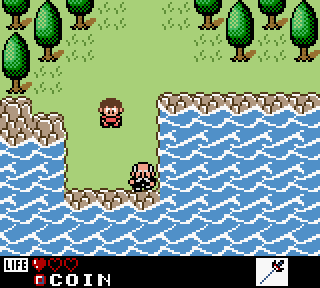 Actually those screenshots are just mockups made by fans, no screenshots were released for the GBC remake. If you look at them closely you'll see that those doesn't respect the GBC limitations. That's why I'm using the original artwork as the main source. Hmm, yeah, it actually looks better. A darker brown for the hair could work too. I do remember someone on there mentioned the screens were faked, the person that did those images did a good job of making them look legit. I think I remember there were a couple GBC games that actually bypassed the system's limitations.